(2002/International Version) english - few copies. For Elvis fans everywhere, Graceland has opened the doors to its extensive archives, allowing the historic documents and memorabilia within to be reproduced in facsimile, collectible form. With the expert help of archivists from Elvis Presley Enterprises, the King's life story is told through handwritten letters, press releases, movie scripts, and additional memorabilia and photographs from the Graceland archives. These historic documents, combined with the evocative text of author Robert Gordon, create a moving portrait of the legendary performer in this one-of-a-kind collector's book. 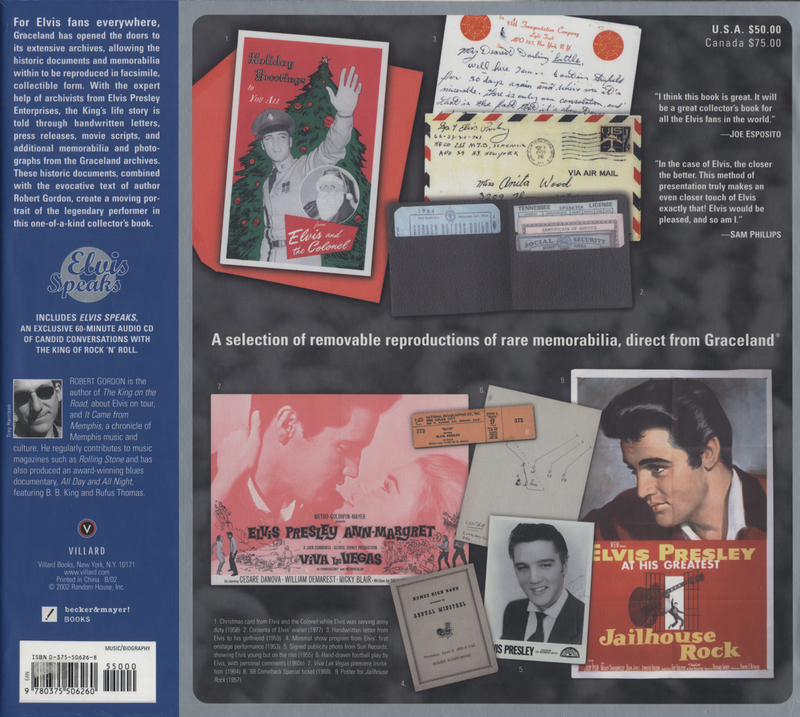 Includes Elvis Speaks, an exclusive 60-Minute Audio CD of Candid Conversations with The King Of Rock 'N' Roll. 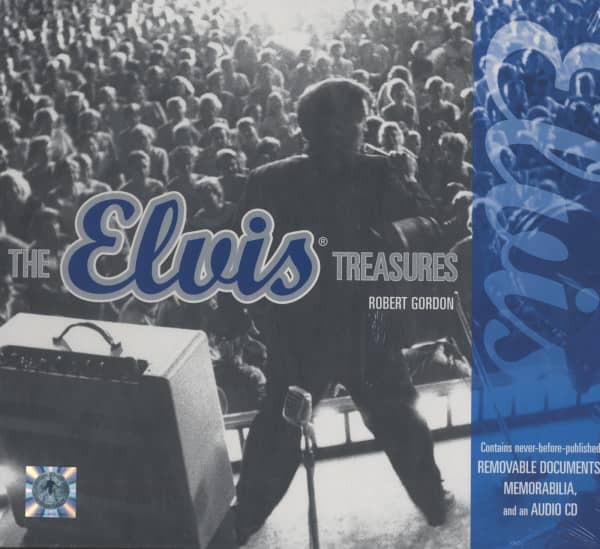 Évaluations de clients pour "Elvis Treasures - Robert Gordon (Book&CD)"